Our Beautiful Bling Rhinestone Keepsake Garters are encrusted with clear, sparkling A1 quality Czech Rhinestones, all set in a unique and gorgeous pattern of rhinestone twists and diamond shapes. Our high quality Rhinestones are accented with tiny hand-stitched silver beads and the sparkling effect is breathtaking, especially when the light hits them!!! 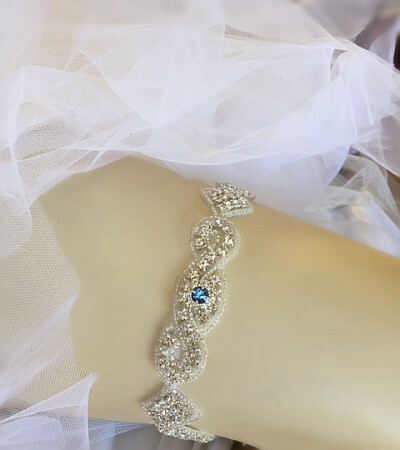 Our Beautiful Bling Rhinestone Keepsake Garter wraps around your leg and comes with organza gathered gently at the very back to allow all the stunning Rhinestones to sparkle and shine around your leg and fit you so snugly! We also include a beautiful matching Rhinestone Toss Garter for you. The Rhinestones are stitched onto a satin garter, in the colour of your choice. 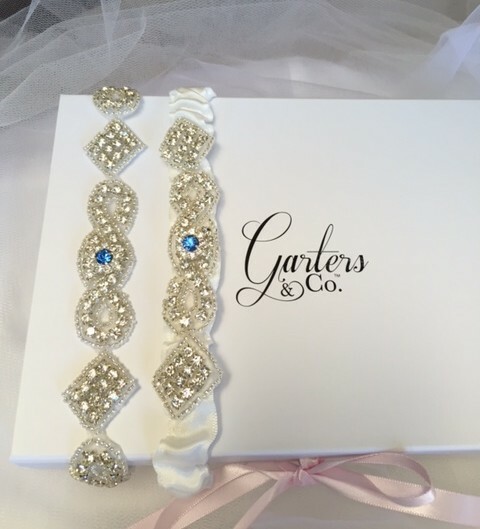 You can also purchase just the Beautiful Bling Bridal Keepsake Garter without the Toss Garter if you wish. Please contact us to organise. Our garters will fit you perfectly! Your Wedding Garter is made to your exact leg measurements so that it fits you perfectly. We hand make each and every Wedding Garter in our Melbourne Workshop with love and care. We believe you deserve the very best on your Wedding Day and we are proud of our beautiful original designs we know you will love wearing.